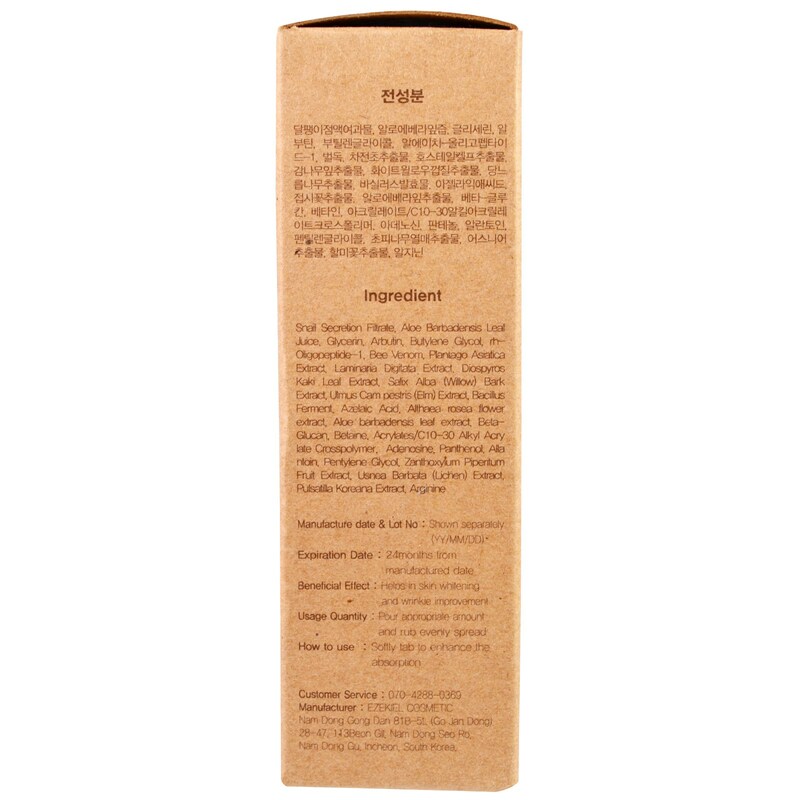 For all types of skin including sensitive and troubled skin types. Instead of water, snail secretion filtrate was used. 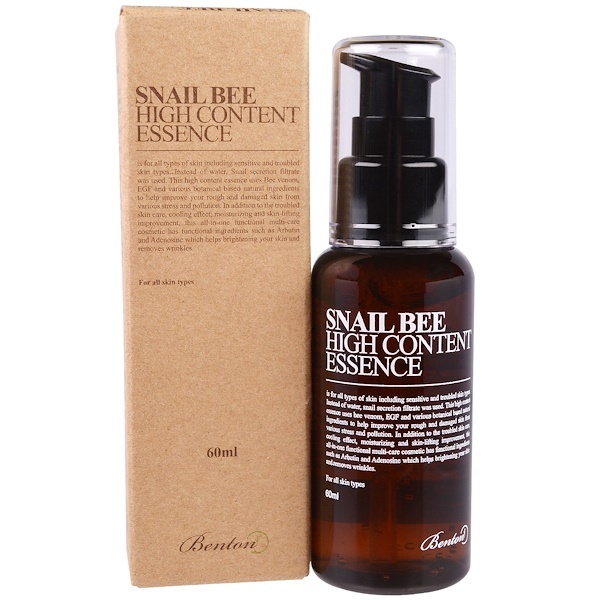 This high content essense used Bee venom, EGF and various botanical based natural ingredients to help improve your rough and damaged skin from various stress and pollution. In addition to the troubled skin care, cooling effect, moisturizing and skin-lifting improvement, this all-in-one functional multi-care cosmetic has functional ingredients such as Arbutin and Adenosine which helps brightening your skin and removes wrinkles. Beneficial effect: Helps in skin whitening and wrinkle improvement. Usage Quantity: Pour appropriate amount and rub evenly spread. Softly tab to enhance the absorption. A. Sign of errythema, tumefaction, urtication, irritation. 4. A sign of papule and light pruitus has been reported during clinical trial of medicine. (Arbutin 2%).